Is Debord a place holder for Manning? Good grief, let it go man. Manning is not a coach. I hope he never comes here to coach, I want someone who can beat Florida. This should really help strength of schedule. I kind of agree. I think 2016 is the year the Vols make a legitimate run at the East title. I expect (hope for) 7 or 8 wins this year plus the bowl. Who do you want as president for 2016? I hate it. I live in Michigan, we got 93" in Jan.
Seatle knew the Broncos plays? Game was over after the first play. You could feel it. Always lose a couple & maybe gain a couple. Recruiting Party? Sounds like a good excuse to get drunk to me. I'm in. Who will play in a bowl this year? Vols Vandy Both Neither What do you honestly think! Who do you think will replace Franklin at Vanderbilt? Minus 40 wind chill & over 24" of snow on the ground this morning. Sometimes I really miss Chattanooga. Stay warm Vol fans! C'Mon man: Texas' Smokey? WTH? I can understand the mistake if Smokey had on orange & white. 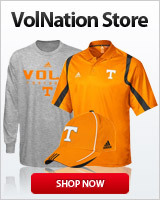 Everybody knows that the Vol's colors are grey & grey. Who Wants To Fire Butch? Anyone who wants Butch fired, remember one thing, NOBODY ELSE WANTS THE DAMN JOB! Get real people! The next moron who mentions Gruden as coach of the Vols need to be committed to Moccasin Bend. Maybe we have a wide receiver who played some QB in high school that Butch can play. It worked for KY a couple of years ago. Try something!